Get 50% off Popsugar Must Have December Box plus Full Box Spoilers! What a great Coupon Code!!! 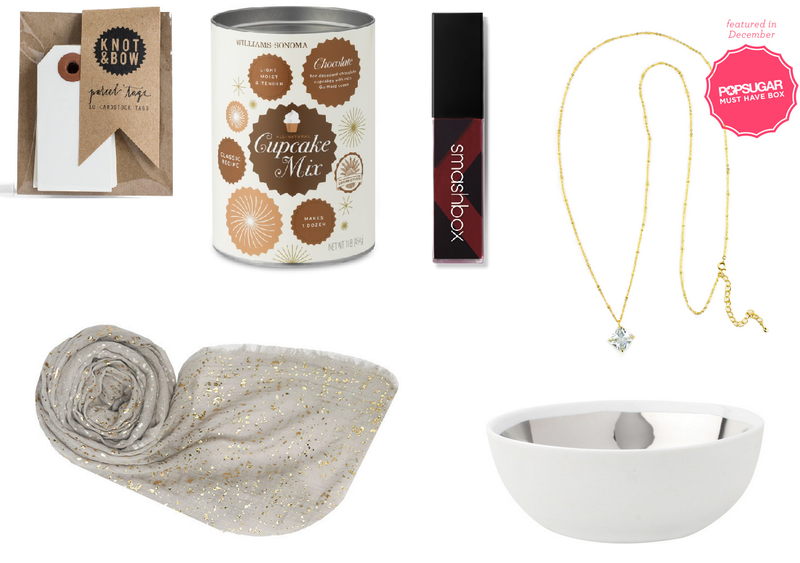 For three days you can get 50% off your December Popsugar Must Have box with code SUGAR50! You can use it to start a new subscription but keep in mind if you've purchased a December one at full price already they won't refund that one. So you'll still get two boxes. SIGN UP NOW! Use code SUGAR50 and get 50% off your first month! Expires 12/14. And the contents are fantastic!! This is such a good deal! Here is what you will get in your Popsugar Box! I think this is a fun Popsugar box! I want the bowl so much I think I may get a second box just so I can have two of them. I don't really care about the scarf but it looks fun and of course, we will eat cupcakes... It's holiday party time! I can't believe the necklace is 18k gold plated! I'm interested to see it up close even if gold isn't my favorite thing. So SIGN UP HERE AND GET YOUR BOX! USE CODE SUGAR50 and get your box for $19.98!! And if that code expires before you get a chance to use it, you can get $15 off with code MH15! So there's codes all over the place for this great box!